If you are thinking of hiring a locksmith or even becoming one yourself, you will want to learn about the kinds of tools that are used in this trade. In fact, locksmith tools that have been manufactured correctly will be the best in the business and will allow you to deal with a wide range of situations. Read on for more information on this subject. If you are planning on becoming a professional locksmith, you will of course want to save your money for things that truly have value. Buying a tool set that is considered top of the line will help you do your work better. Always read up on the various available tool sets so that you can find one that works best for what you want to do in your profession. Bump keys are sometimes used to open locks that have key-holes in them. Bump keys are cut to specific dimensions, which allows them to then be inserted and quickly hit with a corresponding tool. This is one way to open a lock for which the key has been locked. Most smiths will have access to a whole array of bump keys that will help them do their job. Tension wrenches can sometimes be used to apply pressure to key areas of the lock. Tension wrenches are one of the key tools of the profession and are likely to be prominently displayed in any tool-kit. Feather touch wrenches are a recent invention that offer more control over the process and increase the chances of a successful outcome in certain situations. Locksmiths may also carry a range of more regular tools that will come in handy during most work orders. Screwdrivers and hammers, while not often considered classic tools of someone who works with locks, can nevertheless be used to prepare a work order. Most professionals will have several different kinds of screwdrivers available to them at all times. Lock picks of many different designs are likely to be used pretty regularly by the specialist. Hook, ball, and rake varieties are available and are all useful in the trade. They are used on varying projects, and the specialist will use the pick that is appropriate for the project he/she is working on. In some cases, two different rakes will need to be used. Broken key extractors will also come in handy. 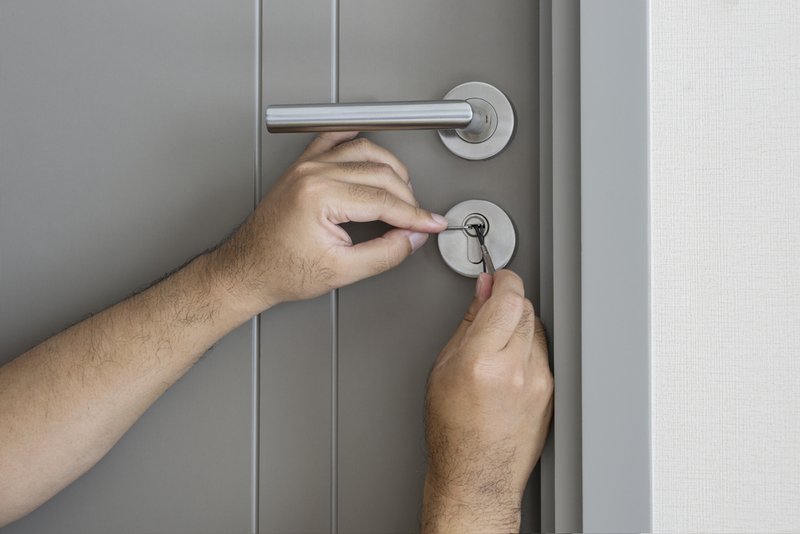 If you have broken your key off in the door and simply do not know how to get it out, a locksmith can help you. They will use tools that have been designed to extract keys from homes, cars, and even businesses. Extractor work through a tensile mechanism that allows the broken metal to be pulled out through the key slot. You will ultimately want to find a locksmith who has been recommended highly by others. If you run int trouble and need someone to help you with your security system, you will know who to call. With luck, you can continue to live a worry-free life for many more years down the road.